Hi, I'm Keith Ledger and I work as a Master Dry Stone Waller. 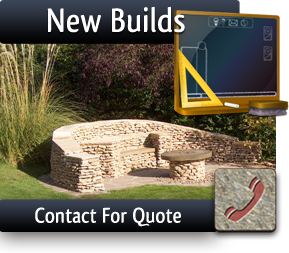 I can provide you with a variety of services from stonewall rebuilds to new builds, including bespoke designs to suit your farm or garden landscape. My work includes paving and patios; decking and summerhouse or shed construction; building fish ponds of all shapes and sizes; water features; stone seating, driveway walls and gates. If you check my Services tab you will be able to see a variety of work that has been completed by me over the years. 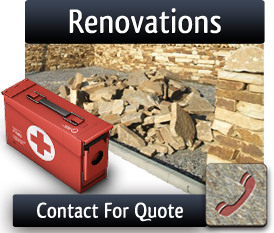 As well as my external work I am also available to build stone fireplaces – popular now as surrounds with log burning stoves; bathroom and kitchen replacements and refits, internal decorating and minor plumbing repairs. I am a qualified Master Dry Stone Waller and a member of the Yorkshire Dry Stone Walling Guild. I also hold a Guild of Master Craftsmen Certificate. I do, of course, hold insurance, for the work that I do. Although I am based in Thirsk I currently work throughout North Yorkshire. I am also available for consultancy work and have been lucky enough to have worked in countries as far apart as Spain and New Zealand. No job is too large or too small for me to consider, so, please feel free to contact me to discuss your requirements and a quote. To view the other albums click the section arrow.